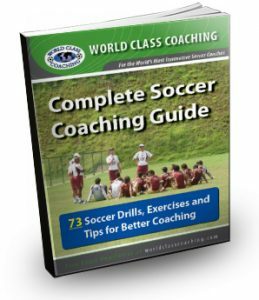 In the video clip below from World Class Coaching Marco Koolman, Head Soccer Coach at Holy Cross, leads a 4-3-3 Building from the Back drill. Coach Koolman has over 20 years of collegiate coaching experience at several different universities. 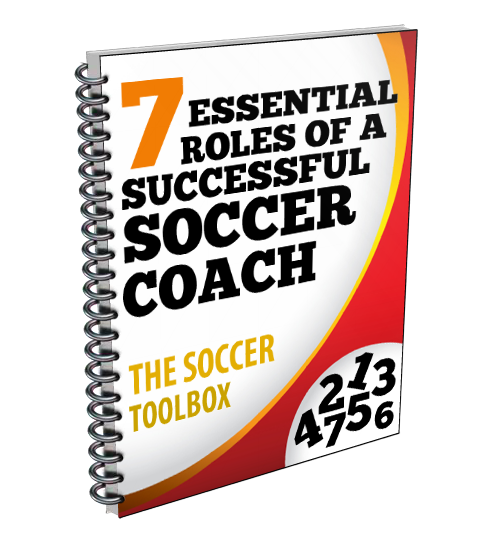 He breaks down the strategy of playing the ball out of the back line in trying to build the attack. The players in this drill are set up on a regulation size field with one offensive team and one defensive team. Once an outside back receives the ball, the outside midfielder on the same side plays a critical role. Most teams and players send this player back towards the ball to give a passing option. Coach Koolman instructs the outside midfielder to move in the opposite direction up the field in order to take that defender away. This creates more space for the outside back to dribble if needed and opens up passing lanes to find teammates checking back. Coach Koolman instructs the center midfielder to play opposite and in a more central location on the field. Most center midfielders would be moving towards the side of the field the ball is on and giving a passing option to the outside back. In doing this, the center midfielder is taking up open space and most likely bringing a defender along as well. The outside backs are instructed to play forward and not back or across the field. Coach Koolman talks about being aggressive coming out of the back and trying to attack. There are lots of players and teams that get too comfortable playing across the back line and not going forward with the ball. Defenders can start the attack for their team rather than just playing simple passes to the midfielders and forwards and then dropping off to play defense. Well done. 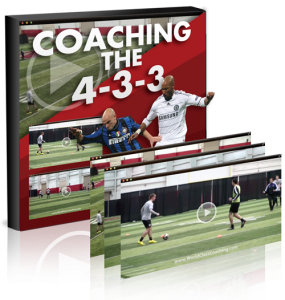 Players usually will choose to play the way they are facing which as you demonstrated puts more pressure on the ball and closes up the space that the attacking team needs to use to get the ball forward quickly.